Thank you Dan and Ruth for your short but informative video. My practice includes group sessions with Spouses of persons diagnosed with dementia or alzheimer’s disease. These clients are constantly going through changes (mostly negative) with their loved ones and are so occupied with how to cope that being ‘present’ can be a struggle for them. I appreciate Don’s explanation of ‘being present’ and distinguishing it from ‘mindfulness’. I think helping clients stay in the present with awareness would be beneficial and serve as the first stepping stone to mindfulness practice in their everyday lives. To jump immediately to practicing mindfulness without providing a good base in presence with awareness, from my experience, tends to lose the interest of my client. I teach mindfulness to my counseling students, so they can teach it to their clients and so they can better tolerate ambiguity and manage strong emotions they may experience when they begin to apply theory to practice. i also teach mindfulness to middle school students. I use mindfulness as a comprehensive approach to help people appreciate the healing and stabilizing effect of opening up inner spaciousness between our sense of center and ground, and our thoughts and reactions to daily living or even to suffering. As a comprehensive approach, it includes many aspects – from my actual presence, to breath work to relax and center and release excess mental activity, to cultivating the inner witness, to cultivating awareness of heart intuitions and heart-fulness, to learning alignment between brain and heart, to opening up spiritual perception of the significance if the micro-moment, the now, etc. Mindfulness is indeed a very rich and multi-faceted approach to living and healing. Thank you for the excellent short video on the health benefits of presence. I find that my own personal use of mindfulness, presence, is much more powerful than anything I can teach them on a conscious basis. I can be totally with my clients, in their world, due to my own daily mindfulness work and I am seeing this reflected back to me, particularly in my work with hyper-stressed and anxious patients. Thank you for explaining the difference between mindfulness and mind wandering. Just allowing the mind to be free to come up with creative thought on a conscious basis, allowing the mind to just take a breather, rest, is very different from constantly thinking about issues not in the present moment. Dan presents a nice and concise video on the topic. I’ve used mindfulness practice with my clients for several years as a major part of my anger management program. Mindfulness helps them to respond rather than react. Specifically, it helps them to observe and distinguish realistic from unrealistic expectations that may foster suffering and anger. It helps them to pause and reflect on feelings such as threat, shame, anxiety, self-doubt or powerlessness that move them into anger arousal. Most importantly, mindfulness helps them to better identify key desires that they may perceive as being challenged or thwarted–-such as safety, trust, connection, and validation. I’m in Ron’s mindfulness class. A bit gehind but catching up and loving it. This was a nice bonus and presented in a way I never thought about before. I’m trying to stay present and attend in diffeeent ways. I utilize clinical hypnosis with my cancer patients to help them reduce their fear and partner with their chemo so that they find chemo their friend not enemy. The work of mindfulness allows them to envision their cancer once they are focused and engage more deeply in the process. Penelope, you may want to look into MBSR (Mindfulness Based Stress Reduction), as taught by Jon Kabat-Zinn. MBSR was developed in a hospital context to help people deal with pain and other medical issues. It’s generally taught in an 8-week or 10-week program, with meetings once a week. Hi Penelope, you may want to check out the 10th annual Tapping World Summit occurring now. Tapping is another tool to use to release emotional blocks to restore energetic balance. Recently, there were sessions demonstrating using tapping for chronic illness. The sessions are accessible for the first 24 hours. There is also a customer service line for more info. I thoroughly enjoyed the session with Kris Carr who lives with a chronic illness and who uses meditation, tapping, and a spiritual practice as well as traditional and alternative medicine to live well with chronic illness. I also agree with Mary Ann’s suggestion in using MBSR as another great tool. I use both tapping and MBRP (Mindfulness-Based Relapse Prevention) in my work. Well wishes. I introduce a mindfulness practice with my new clients and offer to give the exercise that I taught them on a CD so they can practice it in their environment. For some, it is very helpful. I use mindfulness in group therapy just as the group comes together. Since people are often in a rush and trapped somewhere between what they just left and what needs to be done next, a 3 minute mindfulness exercise in the beginning helps participants be more engaged in the group and increases focus during the group exercises. I try to make time at the end of the group to have another 3 minute mindfulness exercise to help participants process the group experience before heading out into the main stream. Mindfulness is an important part of my practice. I use it to help clients focus on their bodies as I help them build resource (from SE) to help them become more embodied and settle the nervous system. Guided meditation imagery has been a powerful way to connect to resource and ground clients. I use mindfulness with survivors of torture to help them reconnect with their bodies and start to experience what their bodies are really telling them vs. reacting without thinking. 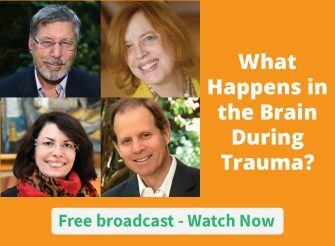 I use mindfulness in trauma therapy to stabilize a client and to integrate split memories with SIBAM and Somatic Experiencing by Peter Levine. Mindfulness is the gift of being and knowing that you are being. Breathe awareness is one way to simply stay with what is. Thank you for sharing the information about being present. I use kinectic sand to help my clients connect with themselves in the here and now, this allows them to connect to feeling, sensations, and emotions they have which is a very gentle method to stay in the moment and allow them to practice mindfulness, this can also create a safe space for the client. I think that to occasionally mind wandering is a wonderful way to rest the brain, even in a busy day. It allows me to be open to possibilities and to plan and to be creative. At the same time, if the intent is to remain clear and focused on where you need to be in the here and now, then yes, mindfulness strengthening with practice is essential. How aboubt planning things to do in the future? Can we stay in the present for that too? How? This is a question I have, too. For instance, when I can’t sleep at night, especially in winter, I visualize planting my garden, and designing it for the coming year. It usually puts me right to sleep. I suppose it’s similar to a focused body scan, but I’m bored with the body, and the creativity and groundedness of my garden soothes my soul. As a busy medical clinician I try to initiate mindfulness “inadvertently” at the beginning of the visit. Simply I take a moment to sit down, make eye contact, and after a few moments ask the patient “how are you feeling right now”. I find that this directs the patient to the present, focuses their awareness to their bodily sensations as a point of departure into their narrative. HOW they answer is at times as telling as what they say. Mind-wandering is an issue for me… I find I need to practice more myself in order to use mindfulness with my clients. I use CBT & mindfulness based therapy to help clients cope with Anxiety, depression , mood disorders & its very effective as when clients are in the present they can have greater self-awareness to consciously correct negative thought patterns & replace them. As a retired person, I help with more ordinary problems. I find people need help to overcome outdated ideas such as ‘don’t mess with the subconscious’. A better way of looking at that is ‘try to be conscious more often’- because it challenges the old cliché of conscious/ subconscious. I like to combine IFS with CBT. CBT helps me pinpoint beliefs related to feelings, IFS helps me spot internal personas which one needs to unblend from a little. This unblending is a mindful activity. CBT self awareness exercises can bring one into presence too. Undoubedly horses are for courses and it is not that we should have biases for or against therapies but rather we should accept that we need to be aware of what is dated and no longer supported by evidence. I am beginning to work with Indigenous students in this practice in an effort to counteract negative experiences of suicide and traumas . Presence, triggered by mindful awareness of breath, sends the default mode network, where mind wandering (including wandering into all our self-critical inner dialogue and depressive rumination) comes from, into the background. Was recently reading about experiments where subjects were placed in an isolated setting and told to allow their mind to wander for 15 minutes. This proved to be surprisingly painful to the subjects, so much so that they were willing to give themselves voluntary, mildly painful electric shocks rather than endure that discomfort. The more you cultivate a present, mindful awareness in your mind, the happier you will become. Mindfulness is the key to developing a trusting relationship and a safe space for our patients. Valuable information, but nothing new here. I,ve been a certified and practicing gestalt therapist since the 70’s. Fritz and Lore Perls were talking about and practicing “presence” since before the 40s. It is one of the hallmark experiential concepts in the practice of gestalt therapy. Love this clip on consciousness! Dan Seigel is so good at these just-enough information nuggets. If I were to apply this to my practice and life, it would be as an explanation of why and how to choose happiness/presence/appreciation/gratefulness over time spend on worry/aggravation/switching topics.past and future. After all, why not be happy for what is as opposed to what isn’t? Wonderful little snippet from Dan! Thank you! With clients, I’ve become aware of the importance of awareness of inner monologues, especially self-criticism and negative core beliefs. The awareness of how we sometimes talk to ourselves and how to shift that to self kindness, caring, and compassion instead. As Dan said, what is important is being aware of what is happening as it is happening. Paying attention to what is going for us emotionally, in the moment, seems to be very useful for clients. Awareness of our emotions, being able to identify and acknowledge them, the ability to stay with the feelings and from that point on, to figure out what we want – and how to express needs are all related to being mindful and aware. I don’t like references to places most of us could not afford to go, such as Martha’s Vineyard. It gives the whole talk an off-putting classism. Everyone can afford to go there in their visual fantasy mind. Mine includes a deck with a jacuzzi and an ocean view, quite sure I’ll never have that in real life LOL but it’s a very helpful with visualization when needed. I appreciate this segment a great deal. And I especially appreciate the definition of ‘Presence’ with it’s differentiation from Mindfulness. Thank you very much. I am an EMDR trauma therapist and use mindfulness (being present in the moment) with my patients as a grounding intervention after all sessions of trauma processing. I want to make sure my client is grounded in the here and now before they leave my office. I also use mindfulness to “pause” clients who become distracted or disconnected from the mind and body. Ruth, you seem to have lost a lot of weight, hope you are all right! I have been using mindfulness for many, many years through yoga and zem buddhism, more recently with the Feldenkrais method that is getting more and more widespread, thanx party because of Norman Doidge’s excellent books, recently ‘The Brain’s Way of Healing’, that has two chapters on Dr. Feldenkrais. I am fine, Pishti. and thanks for asking. Ruth, you look very fit. Perhaps we’ve forgotten what that looks like in our very un-fit society. It’s more difficult to say when I dont use it with clients! It’s an anchor. The contrast of mind-fulness of mind-wandering is helpful. As a Zen meditation teacher, Mindfulness is fundamental in what I teach and how I work with students as well as with the women veterans and family members in our no sectarian Regaining Balance program. As a Zen meditation teacher, Mindfulness is su dame tal in what I teach and how I work with students as well as with the women veterans and family members in our no sectarian Regaining Balance program. I tell my patients that when they have regret or shame it is usually about the past and when they have anxieties or fears it’s often about the future. When you are stuck either in the past or the future sometimes you can miss the wonderful things that are unfolding right in front of you. Using the techniques of Laughter Yoga, Bal-a-Vis X, and any hands on-brain focus such as horticulture therapy, writing, storytelling, cross-body games (ping pong), movement therapy…having people select the music and song lyrics that depict their state of mind and then doing movement and drama therapy to unlock why that is present in their minds and what action steps to positive outcomes they can think of to change tracks or take a scenic action oriented journey and notice what is close around their path, in their middle view and in the distance and to look back and see how far they have come are all ways to be present and learning and growing new neuropathways for successful changes. The supportive network of friends…the company we share time in the present with is vitally important. Since friends aren’t always available when we need them, we must be mindful of the quality of friendship and self-talk that we have with ourselves! It would be better if I learned to be mindful and proofread before I press “post” or “send”. My long sentences reflect my “Tigger” personality and passion for integrative fun for function. Dancing and playing games with children and elders that have cross body movements are excellent for being present and always includes laughter and the gratification that someone cares enough to include others in play…it all reduces anxiety with the breakdown of cortisol and the production of dopamine and serotonin…lightening and brightening our mood and improving communication, collaboration and innovation! Interesting illustration you bring us Helen. What I take from this “trigger” action too often familiar and sometimes wrecking havoc in our modern lives, is being propelled by any level of anxiety to alieve future fears by taking action that offers relief, when pausing for however long we need to be mindful is what serves us best. Thanks for this illumination Helen, would that I could have realized it yesterday before loosing $1000 to my trigger mistake at the end of a very long work day. I have let my mind wander all my life, mainly when i was already unhappy with the situation i was in. I also was stuck in jail and other institutions before i received a diagnosis and treatment for bipolar disorder. While inside jail, my ability to let my mind wander was a great survival skill. I have to wonder if the minds of our prisoners left, to waste away, contributes to their high recidivism to jail, prison and institutionalization. Yes, Amy! That and the stigma of jail and not being able to get jobs because people are freaked out about both so they shut out the person. The Wellness Weavers Way is a way of life to be green and healthy with the true wealth. To have the best mental function, we need good nutrition, sleep, the ability to adjust our attitudes, and the environment that promotes health, learning, and social justice. There can be silver linings to jail time however, until every judge, lawyer, medical person in public and private practice, educator and law enforcement, and EMS actually understand the best practices for mental health and help to put the new system in place that treats all people with respect, dignity, and equality we will continue to have recidivism. That is why Wellness Weavers would love to have you as a Weaver of Wellness. We work lean and green using applied technology to prove that volunteers are worth more than gold and every volunteer is equal with STAR power…their current Skills, Talents, Attitudes, and Resources can be applied by being in service. By being in service with the Bee Attitudes and communication techniques that allow the brain and body to connect in more positive ways, actually recharges our individual and collective STAR power in Service and focused on the good of all. We are co-developing the integration of the Wellness Weavers WOMAN4WEALTH4ALL with the Time Banking system so that everyone realizes they have worth and are worthy as volunteers earning and learning…if they want to be well. If there is no Time Bank or Wellness Weavers group in your town, you can join our virtual Homestead group as we co-develop the TimeKeeper Bank for the global community that has Internet access. In case evil forces that have been creating the conditions for mental illness using marketing and the legal FDA “food-beverages” and drugs to co-create illness and the Big Pharma “solutions” shut down the system by continuing to target and kill people that expose the free play-based and nature-based solutions for wellness, just use the “Pay it forward Bee Attitudes” for the actual wellness results. They advanced their cause with the method to their madness by cutting funding to education, health and social services and preventing the competency education by people that are providing medical and educational services and those that are charged with arresting, judging, and sentences people with mental health, substance use disorders, and even early stages of dementias…all that can be improved with access to the right environment and multi-disciplinary therapies. Those that profit on illness and incarcerations are buying the laws and cutting the funding to get the arts and activities out of the public schools and replace it with fear and stress for “passing tests to get into good (and expensive) schools to get good jobs”…all part of their plan to continue the debt and stress-based system of enslavement with student loans and credit card debt for living expenses and material possessions that leads to chronic health problems that keep their money flowing into their bank accounts. I invite you to google Wellness Weavers and watch for the Survey Monkey tool to get involved. I have been the lone Weaver looking for the partnerships so WE can put the new system of volunteerism into perpetual motion for the good of all. At this point, I need to find a Charter Member with DBA skills with Survey Monkey as I cannot attend to all the details of the care and maintenance of the six historic building and all the fun we could be having in this little town that is making me learn lessons and make progress the hard way. Thank God, wellness was the foundation of my nursing practice that went back to 1978 and that half of my family roots lived on islands…I can root and grow even if marooned on an island because I also come from Indigenous hunters and gatherers and medicine men & women educated by Socrates. Once a mind expands and the circle of life is understood, even isolation and death loses its sting. Yes, learning with and from each other is fabulous. What do you have to add or what is your burning passion or best wish? I work with classical musicians who experience performance anxiety, and it is vital for them to be present *and* mindful in high-pressure performance situations. I teach them skills such as positive self-talk, mental concentration, meditation, relaxation, mental visualization, and many others so that they can play with absolute focus when the stakes are high. Many of them come to me with the belief that they need to practice their instruments more – or differently. But no, I feel they need to address the anxiety, the lack of mental focus (wandering mind, as Dan says on this video) *off* their instruments. Training their own minds to be under their control, or as I like to say, not letting their minds loose without a leash, 🙂 then generalizes to the practice, and ultimately, to any pressure-cooker arena (auditions, competitions, stressful orchestras, etc.). Excellent advice because music and those that have the gift are such an important part of healing for us all. Plus when we get to listen to a live performance, there is less chance for the evil forces to add in the subliminal tracts to try to cause anxiety in society so that will seek relief in the alcohol, tobacco, legal “food and beverages” and pills and illegal drugs that provide temporary relief but actually compound the problem! So thank you, from all corners of my heart and mind! You are a true Weaver of Wellness. I would love to have you join the Charter Team! text 785-770-7448 with name and email if you want to meet lean and green using HIPAA Compliant Cisco WebEx (free APP) and Wellness Weavers has the host account to serve with and for all that want to be well and well-functioning! I created a mindfulness scavenger hunt for my clients. I invite them to use the colors of the rainbow, starting with finding something red (or that has red on it) and to do a body scan (simply noticing sensations and any temperatures); returning to body sensations when noticing back in thought or creating a story around why they notice certain sensations in response to this color. They continue through the colors of the rainbow. I suggest doing this for 15 minutes and encourage clients to use it even if they only have a few minutes (and not to use time as an excuse not to do it:). I also teach my clients Dan’s acronym of S.I.F.T. and let them know mindfulness exercises, such as the scavenger hunt help train their brain to know they have choice over which part of their experience to focus on; the Sensations, Images, Feelings or Thoughts. Thanks for sharing this video! And for all the other knowledge and wisdom you have both offered over the years! I love the mindfulness scavenger hunt! I will have to try that! Thank you! I love these videos. They are amazing. Im also so sorry to miss Daniel’s visit to Ireland next month. I have to comment on this because Presence is something that I endeavor to support my clients to experience. I usualky ask them where they find themselves present already, like maybe at the beach or when they are listening to music or when they are walking and I continuously get them to check in, check in with how they are here and now in the room during the session but also to ask themselves this again and again in theyre daily lives. I have found tge feedback from clients on this really positive. Others more challenging but helpful for them to learn that it is challenging to be present to themselves and usually working with this in the here a d now in the session is helpful. Thanks again for sharing. Thank you for sharing! I like the image of the well worn path versus the road less traveled.